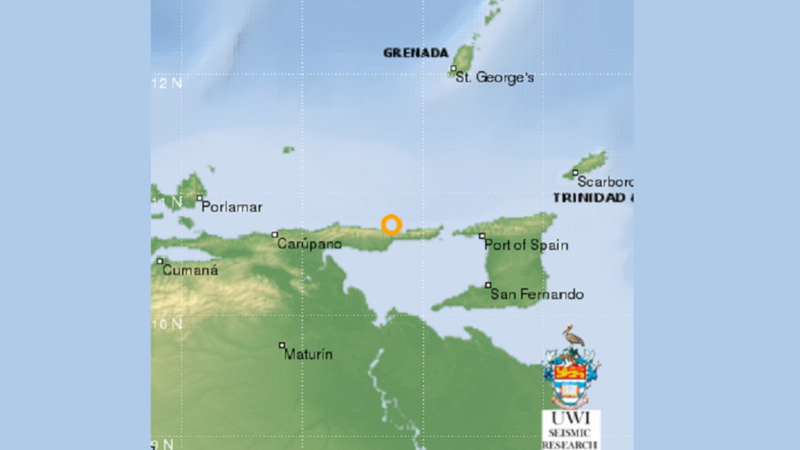 A magnitude 4.1 earthquake shook Trinidad and Tobago early on Thursday. 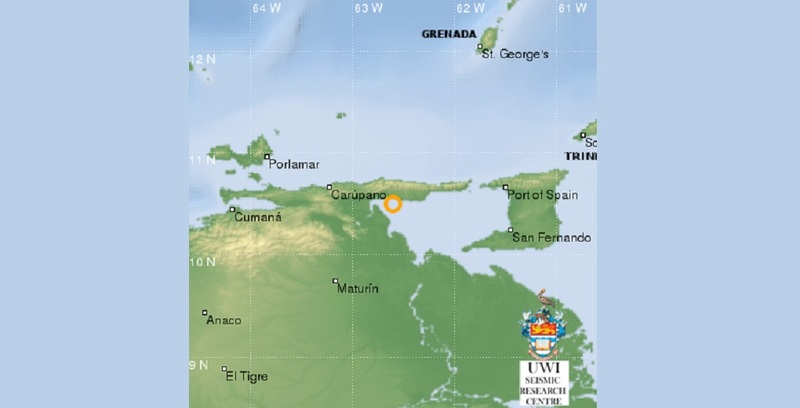 The earthquake occurred at 2:14 am, latitude 10.80N, longitude: 62.28W at a depth of 10 km. 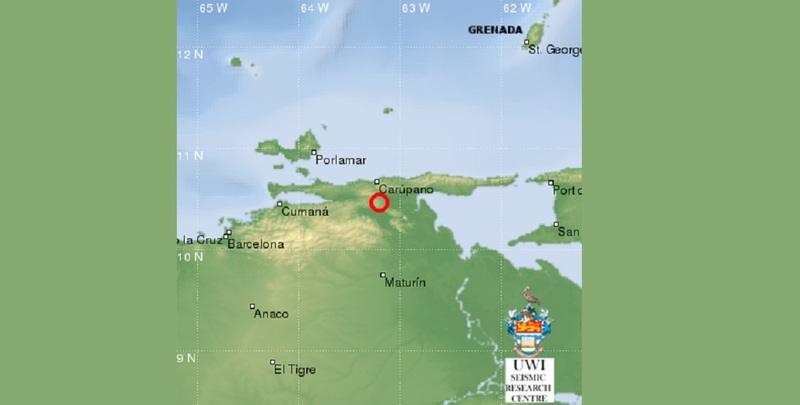 The UWI Seismic Research Centre (SRC) recorded the earthquake 86 km WNW of Port of Spain, 109 km NW of San Fernando, and 106 km E of Carúpano, Venezuela. 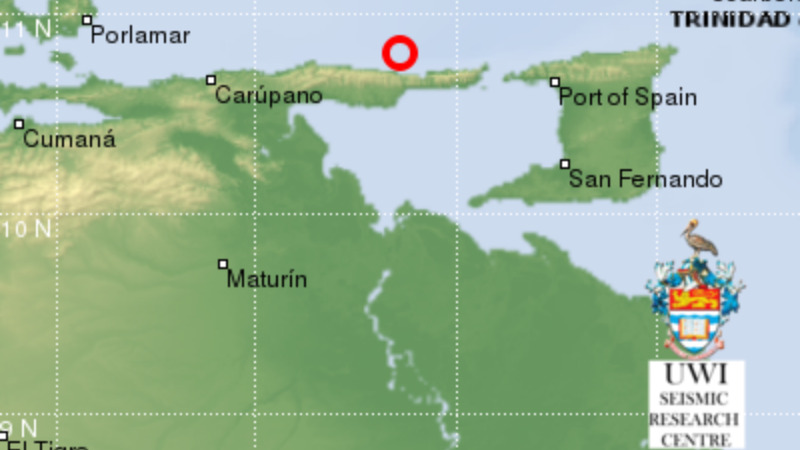 The SRC added that the event was automatically located by a seismological computational system and has not been reviewed by an analyst. It is a preliminary result and may vary when new additional data are processed.